Great Shift TG Captions: Birthday (Part 19) - TG Captions from The New Great Shift Captions! His body jerked. Matt could tell the switch was faster this time, as though it was reacting to his suicide attempt. Trying to kill himself simply wasn’t an option, but would he ever even die? 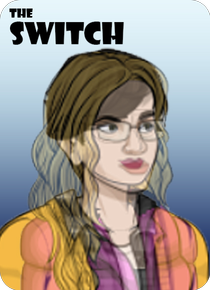 Switch bodies all the time was bad enough, but literally switching forever? The thought sent an unpleasant feeling through him -- no, wait, that unpleasant feeling was something else. He realized he was having trouble with his motor control. Then he realized -- he was now in the body of a baby! Things had gone from bad to worse, but he felt terrible about what this meant for the poor child swapped into the woman’s body he had just been in!